Is "risk" the enemy or is it necessary? What is risk management? How does insurance fit into the concept of risk management? Is "risk" the enemy or is it necessary? What is risk management? How does insurance fit into the concept of risk management? This book defines risk, discusses the theory of risk management, details the risk management process, and delves into insurance and its rightful place within risk management and the risk management process. Included in this book are discussions of insurance regulation, negligence theories, theories of legal liability, and the premium audit process and rules. The capstone of this book is the last chapter. This chapter gives readers the 12 "rules" or guidelines necessary to read and understand ANY insurance policy. All experience levels can benefit from the concepts discussed in this book. 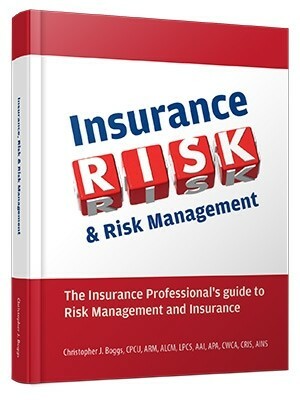 In fact, even those not in the insurance industry will find this book useful, especially if their job involves managing risk.